We pledged up to $5,000 in matching donations for Hurricane Harvey Relief. You can donate and learn more here. At dailyKARMA, we want to empower you to live a more impactful life. 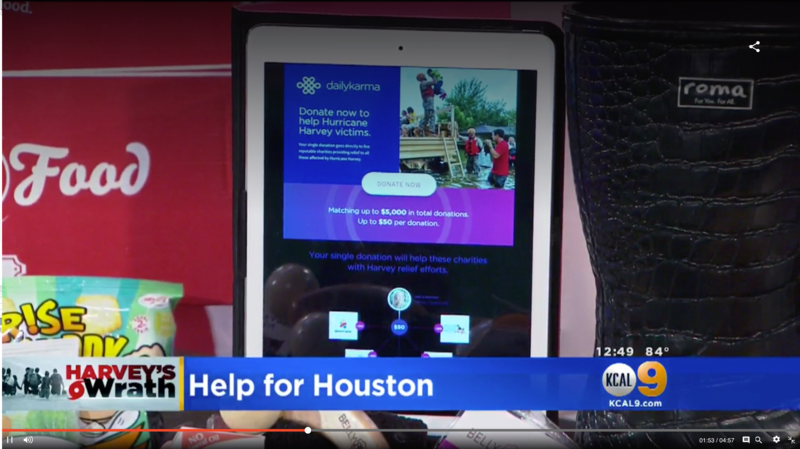 When we saw the devastation from Hurricane Harvey, we wanted to do our part to help too. So, we pledged $5,000 in matching donations to relief efforts. Through our relief fund, you can directly support up to five reputable charities in one simple transaction – and we’ll double your donation up to $50 through this Friday 9/8/17. If you can, please be sure to donate and spread the word before Friday so we can hit our $5,000 matching goal.